Double Jeu - Score (violas 1 & 2), PDF, 7 pages, 121Kb. The title of the work "Double Jeu" is rather ambiguous with its multiple meanings. Using the word "jeu" is in itself a play on words being pronounced in French identically to "je", the word for "I". 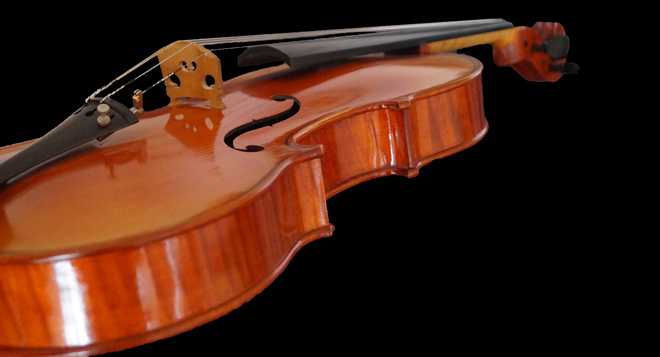 As the viola is my own instrument, and the work is for two of them, this carries a sense of "twice me". On the phrase double jeu in its classic sense, this somewhat light-hearted take on the matter refers to the relative equality of both viola parts in the musical hierarchy; the criss-crossing of the two voices ensures that neither dominates as a superior upper part - it would only be an illusion (created by the composer) to assume so. The first performance was given on Saturday 31st August 2013, 5pm byPierre Henri Xuereb and Julien Dabonneville at la Fête de l'Alto, Lasalle, La Filature, Cévennes, France.